Define and promote standards of ethical and professional behavior among member companies. Demonstrate that self-regulation is effective and produces positive results for consumers, travel agents and other distributors and industry members. 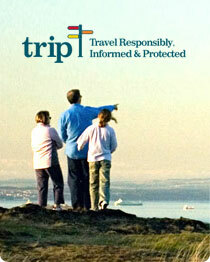 Promote a positive image of the Association and the travel insurance industry. Conduct business in good faith, according to the highest standards of honesty and fairness. Abide by the letter and spirit of the “Code of Ethics”, even if particular circumstances are not specifically covered in the Code. Act in accordance with provisions of the Code even if such actions may be detrimental to its own interests. Maintain an internal system of supervision that is designed to achieve compliance with the provisions of this Code. Provide travel insurance products and services that represent value and high quality. Present its products, benefits, conditions, exclusions and prices clearly and accurately. Pay all valid claims fairly, promptly, accurately and courteously. Respect the privacy of individuals by using personal information only for the purposes authorized. Engage in fair, professional and ethical competition. Make no misrepresentations, false or malicious statements about the products, services, staff, financial condition or business practices of other Members. Abide by the Association’s Code of Ethics and approved policies. Support and participate in the Association’s activities.